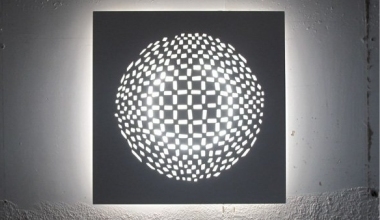 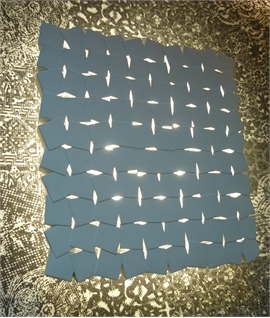 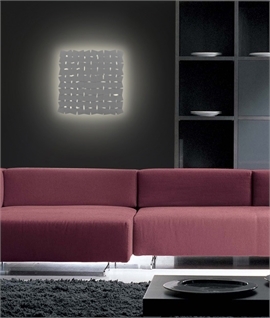 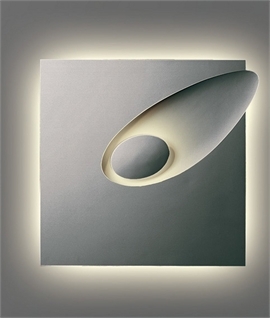 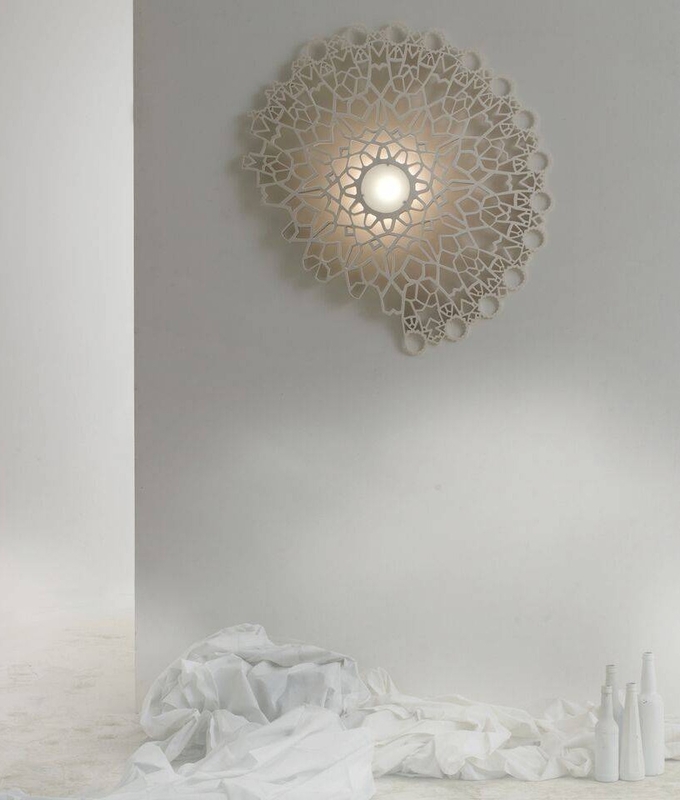 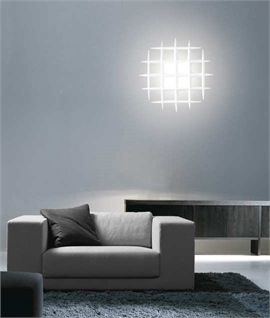 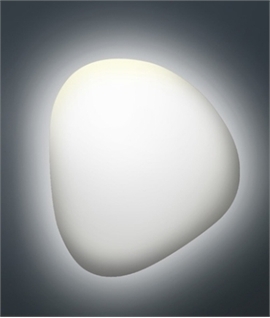 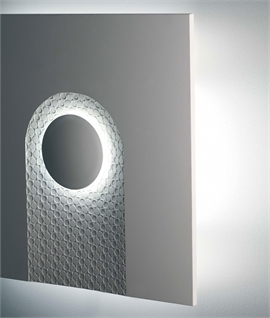 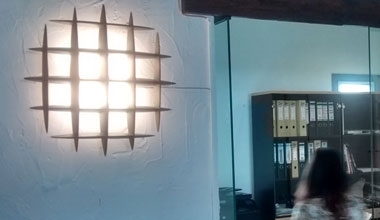 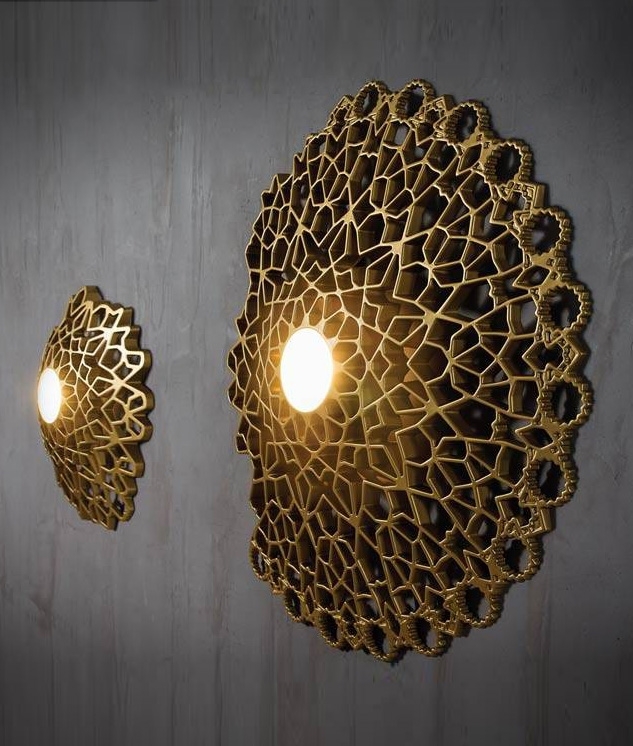 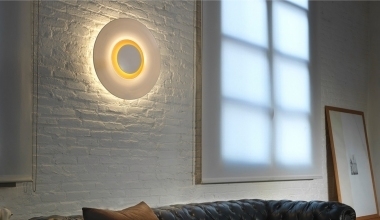 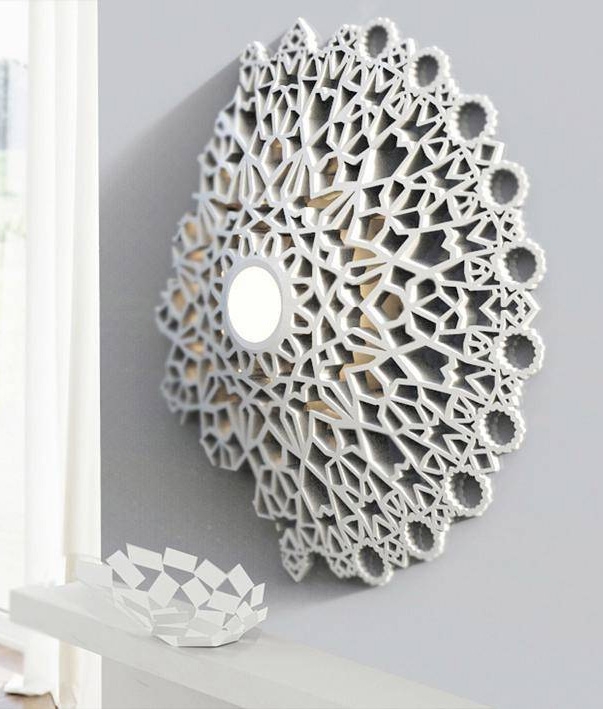 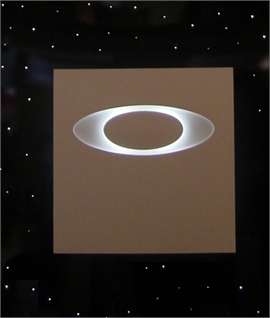 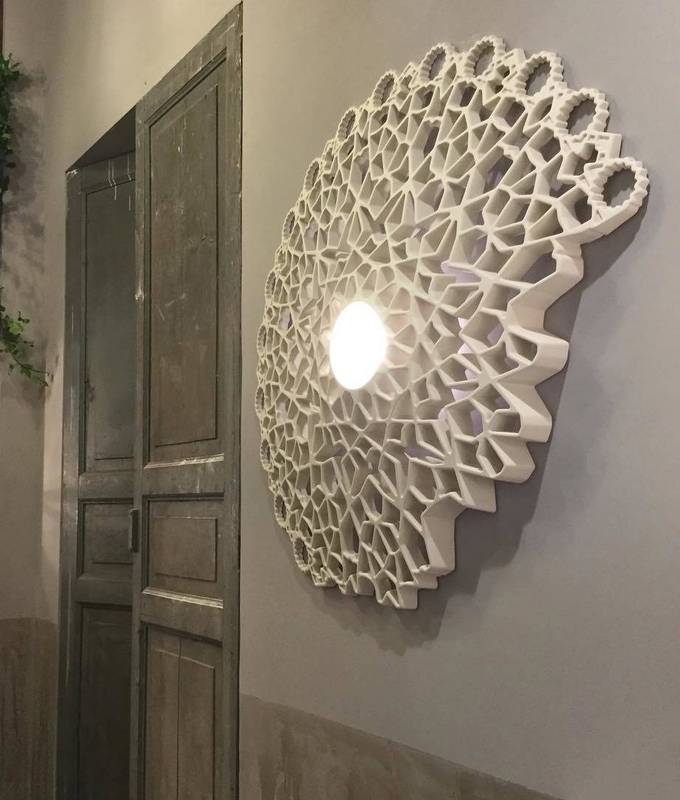 Ever wanted a wall light that was also a piece of art? 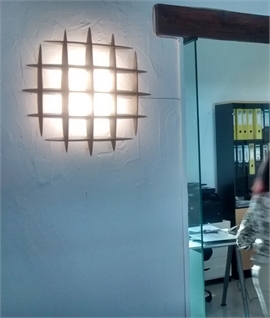 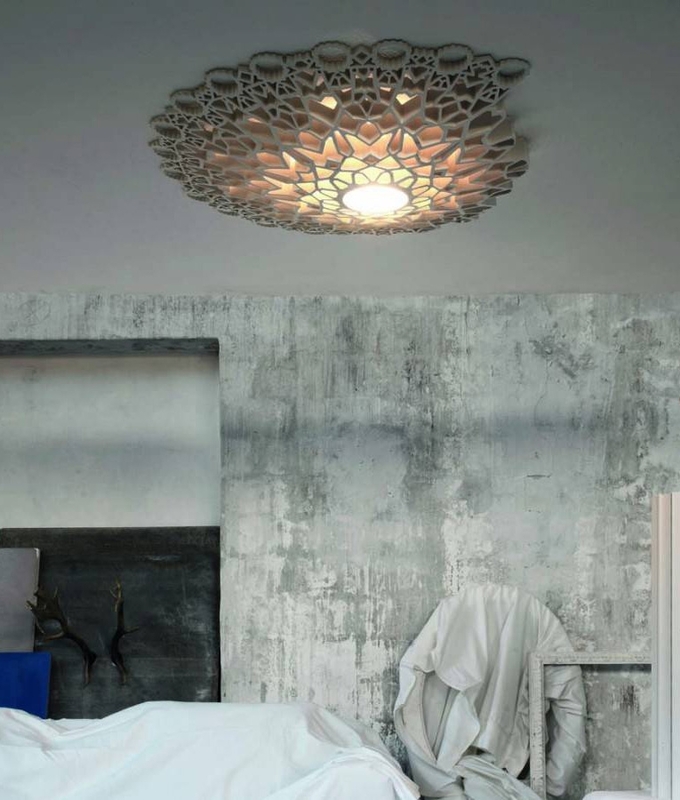 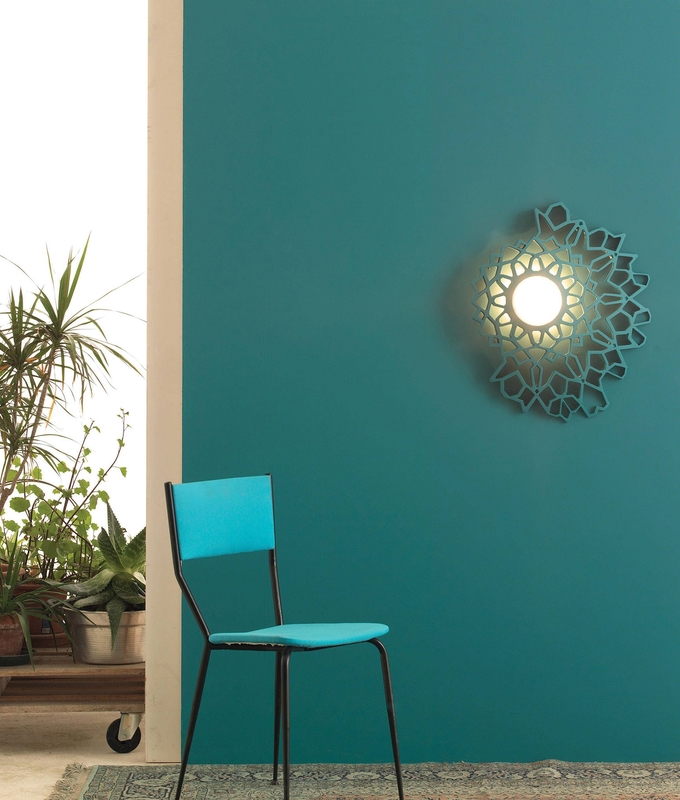 This patterned, almost fretwork style light is certainly just that. 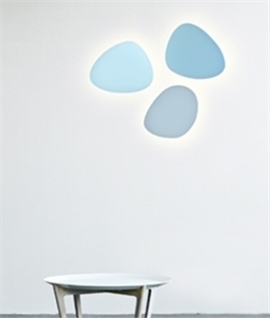 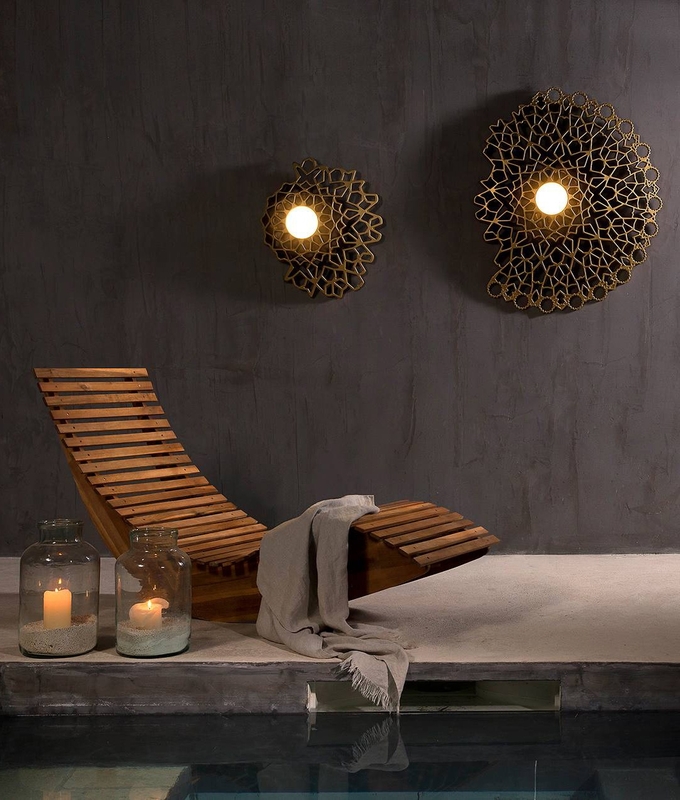 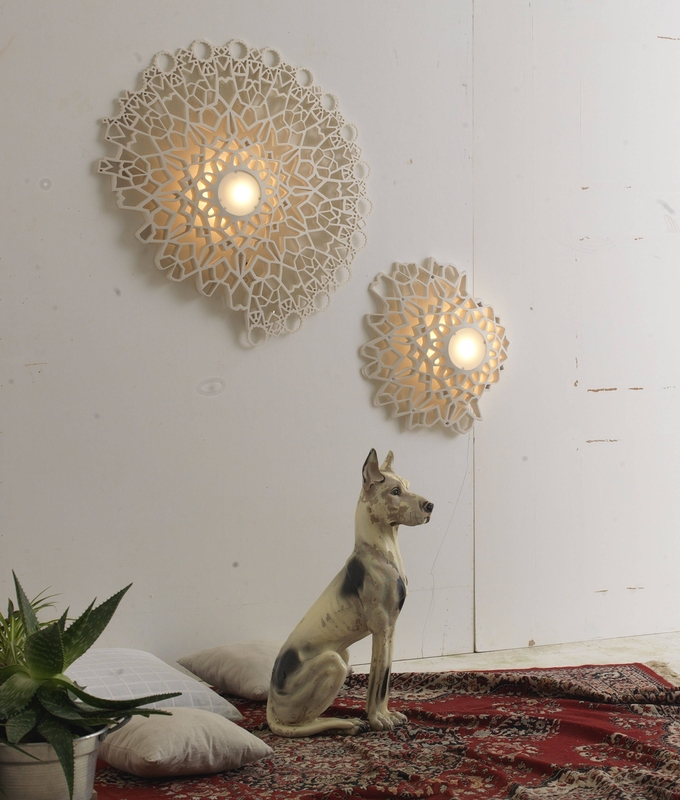 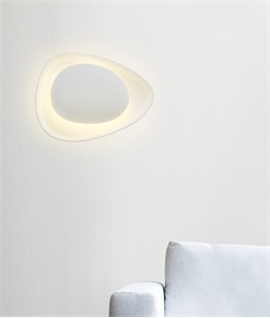 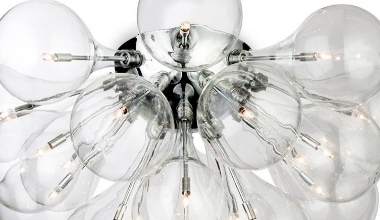 A beautiful designer light which is eye-catching, fabulously created and a pleasure to own. 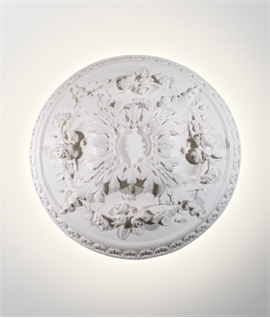 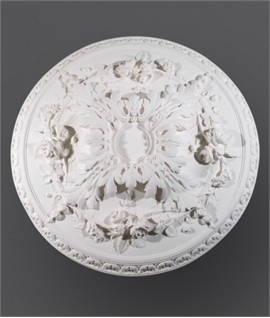 Available in a white or gold marble powder finish, this light can certainly star in the most elegant and sophisticated of environments. 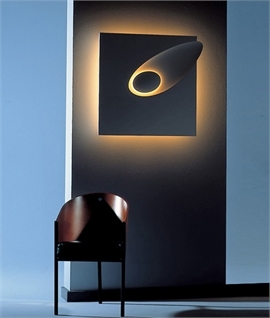 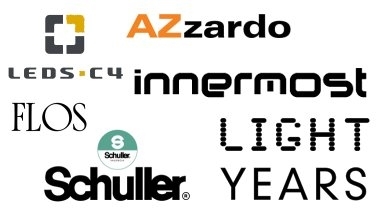 Hotels, foyers, restaurants and department stores - the options are endless! 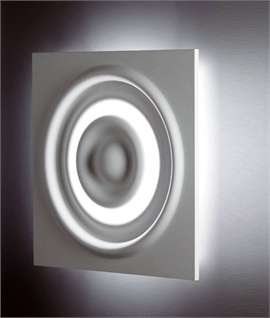 Rest assured though, should you want to bring this impressive feature to your home this will not look out of place. 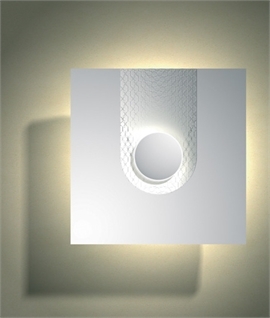 Metallic reflections and the wonderful lighting effects between the full and empty spaces of the 3D fitting make this an eye-catching piece. 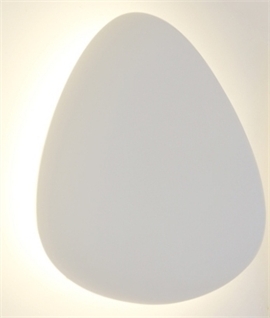 The unfinished shape is designed to not be perfectly round however this does not detract from the overall presence and beauty of the light. 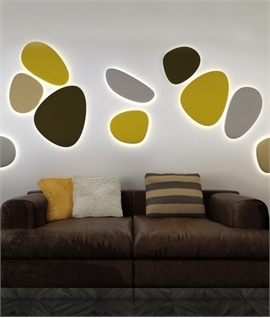 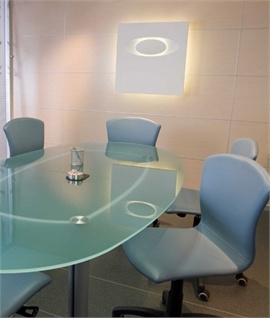 Available in two sizes and perfect installed in multiples in the two sizes. 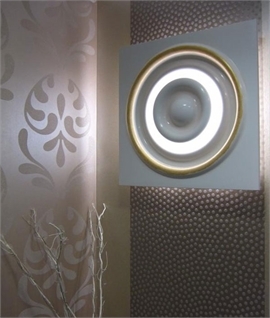 Versatility is key, install on the wall or ceiling, depending on your requirements. 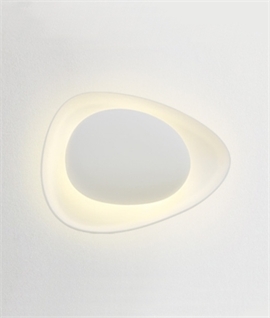 Complete with a 13 watt dimmable LED module to the centre of the fitting, and 3 watt strip light for backlighting.